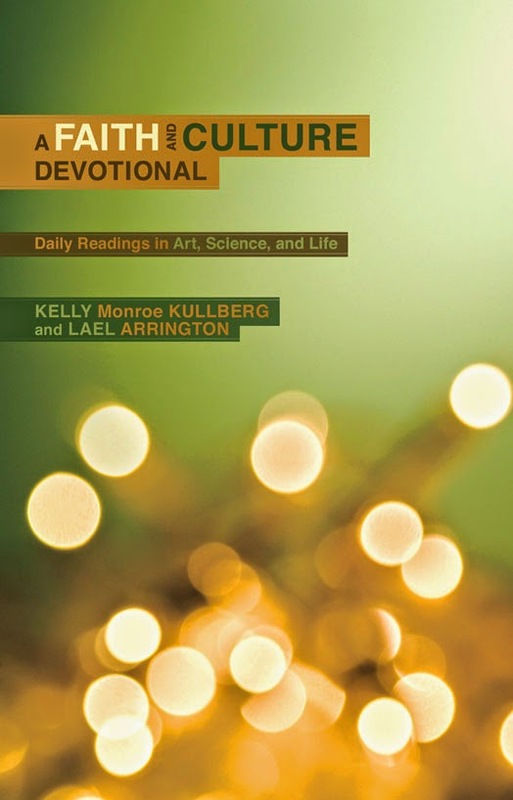 This article was taken from A Faith and Cultural Devotional [pictured] by Kelly Monroe Kullberg and Lael Arrington. While I don't recommend all the authors featured in this collection, it does boast the names of thinkers such as J.P. Moreland, Dallas Willard, Darrell Bock, R.C. Sproul and Greg Koukl. Further, it covers some outstanding topics related to art, science, life, literature, theology and apologetics. The article is on the doctrine of middle knowledge and is written by Dr. William Lane Craig. I think it's a good introduction to the topic. "Saul took his own sword and fell on it...Saul died because he was unfaithful to the Lord...So the Lord put him to death and turned the kingdom over to David son of Jesse." In these few verses we see in microcosm the mystery of divine soverenighty and human freedom. On the one hand, Saul took his own life; on the other, God killed Saul. How are we to make sense of this paradox? Consider the proposal of the seventeenth-century Jesuit theologian Luis Molina. Molina's theory of providence is based on his ingenious doctrine of divine middle knowledge. According to that doctrine, God knows, logically, prior to his decree to create a world, what every free creature he could possibly create would freely do in any possible set of circumstances. God's will is that every creature do the right thing in any set of circumstances. But, alas, God knows that creatures would often freely sin in certain circumstances. For example, God knew that if Saul were about to be taken by the Philistines, he would freely commit suicide. Since that action is freely done, there's nothing God can do about that conditional fact. He could, in light of his middle knowledge, decide not to bring about those circumstances or to place Saul in them. But he cannot do anything about the conditional fact that if Saul were in those circumstances (which involve no supernatural intervention), he would freely fall on his sword. Now, in planning a world of free creatures, God takes into account what various persons would freely do in various circumstances and how those circumstances and decisions would in turn affect others. Being omniscient, God plans the world down to its minutest detail. Everything that comes to pass therefore does so either by God's directly willing it or permitting it. All the righteous actions are directly willed by God, but the sinful actions he merely permits, knowing that in the end his ultimate purposes will be achieved. So, to return to Saul, God knew what Saul would freely do in those circumstances, and though he did not desire Saul to commit suicide, he permitted him to do so freely, knowing that by this means David would take the throne, which is what God wanted. (This is obviously grossly simplified; Saul's suicide has an ever widening ripple effect down through subsequent history, which God also takes into account.) Thus, Saul freely took his own life, but the chronicler, looking at it from the perspective of God's plan, says the Lord slew Saul. In reflecting on Molina's theory, we must not lose sight of the fact that the circumstances do not determine how people will act, for these are freedom-permitting circumstances. When the FBI conducts a sting operation, calculating that the drug dealer or child pornographer would take the cash if offered to him, the criminal always tries to use the excuse of entrapment. But if the FBI has done its job right, the courts consistently rule that, under the circumstances, the criminal behaved freely and it is, therefore, he, not the FBI, who is liable. So it is with God's sovereign direction of a world of free creatures. Middle knowledge in the hands of a tyrant would be terrifying. Therefore, it's vital to keep in mind that we're talking about a loving heavenly Father who wills the good of his creatures. As Joseph said to his brothers, "You intended to harm me, but God intended it for good to accomplish what is now being done, the saving of many lives" (Genesis 50:20). What do you think? Do you hold to the doctrine of divine middle knowledge? Why or why not?